What's your day job and what does it entail? 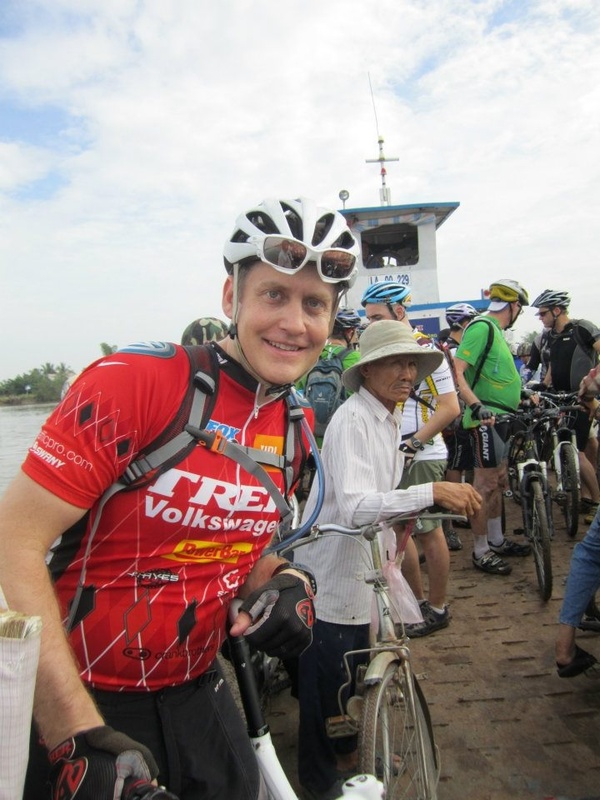 Preaching the bicycle gospel around Asia and South Africa. I take around six big trips a year visiting distributors familiarizing myself to market demands and trends. The main reason for working at Trek is our passion for riding, so typically: April – October Commuting into work. Days I do not commute we normally go for Road, Cyclo Cross, or MTB rides. What's the best thing about working where you do? Wow, where do I start… 1) Let’s face it, most of us get into this business because we love the two wheeler. The little kid in me still gets excited when I crack the box of a new bicycle. 2) I am privileged to see what is in the pipeline for 2016 and beyond and let me tell you, there is a lot of exciting technology coming up. I love that I get to work with the most talented people in the industry that design and build the best product in the industry. 3) The other aspect is when I travel I make sure to ride where ever I might be. So seeing the world by bicycle is the only way to see it. There is nothing like riding in the most remote places in the world, country side of India or in the rice patties of Vietnam. What's the worst thing about working where you do? The flights! If only I could click my heels like Dorothy in the Wizard of Oz. How did you get into bikes in the beginning? BMX racing was the gateway drug. What's your favourite thing about working in the bike industry? Being able to meet some of the legends in the Industry. i.e. Eddy and Axel Merckx, Greg Lemond, Stephen Roche, Gary Fisher, Fabian Cancellara, Katie Compton, and yes, Lance. If you could only listen to one album for the rest of your days what would it be? Between AC/DC, Back in Black and Eagles, Greatest Hits. Rolling it old school. The last text message you sent was to? What did it say? The Wife. Be sure to prep the sitter, it might be a late one. What do you think has been the best innovation in the bike industry in the last five years? Evolution of technology in 29er full suspension ~ REaktiv suspension, ABP, and Boost 148. Finish this sentence "on a Saturday I like to get up and..." Enjoy a great cup of coffee before my weekend warrior neighbors challenge my fitness on a road bike. Beer, wine or cider? Is there anything else in Wisconsin better than Bicycles followed with a Beer? I love a hoppy IPA! A single speeder and a fat biker get in a bar fight; who wins and why? For sure the fat biker since they tend to have a little more weight behind a punch over the typical washed up MTB racer / messenger. That is unless the single speeder has more than six tattoos, then he has probably had to live up to his image. Best place you've travelled and why? Kathmandu, Nepal. The people are extremely friendly, great food, and the riding. Strangest place you've ended up due to being in the bike industry? At my non-Thai distributors show in Pattaya, Thailand. Bicycles and Red light district, why not? What's the one thing that your most excited about coming into the 2015 season? Recently I purchased a Boone 9 cross bike and witnessing the crazy people that follow it. The cross business is blowing up around the world and I'm loving every aspect of it.